Razer, creator of high end laptops went and did something special. 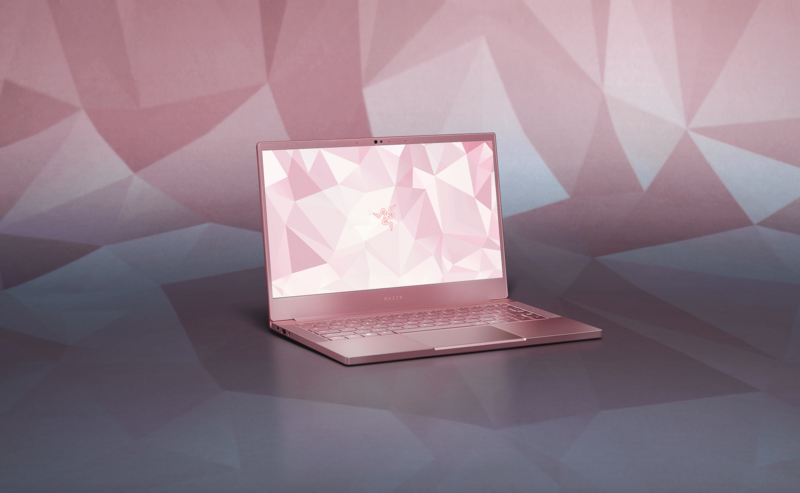 There’s now a special pink edition of the Razer Blade Stealth available for sale. Now, I’ve seen a pink laptop every now and then, mostly made of flimsy, cheap plastic. But this Quartz Pink edition is something special and sports the same touch of elegance as the rose gold iPhones and iPads. Even the signature snake logo of Razer is dipped in a pretty pink. I won’t bore you too much with the specs of this laptop. It’s straight up a Razer Blade Stealth in everything, including price. Expect a laptop suitable for high-end gaming and other performance tasks such as image and video processing. 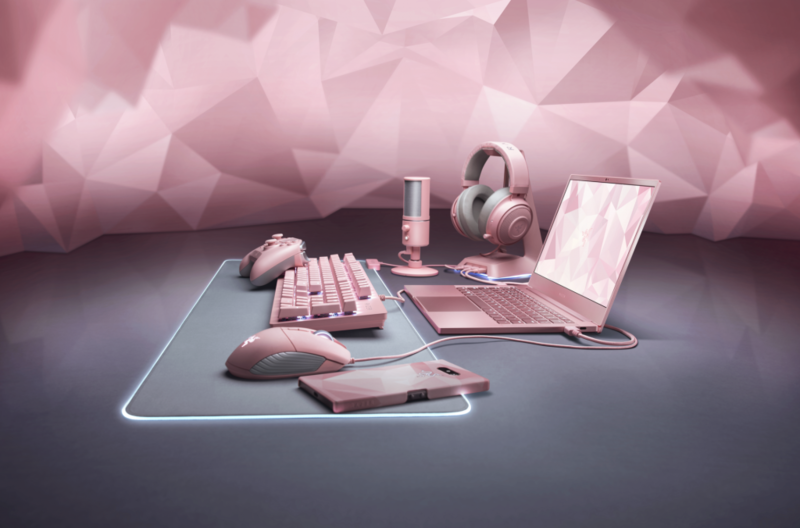 This laptop neatly completes Razor’s hugely popular Quartz Pink range of gaming accessories, which includes a mouse, keyboard, headset and more. You can now get a full pink gaming rig so you’ll look fabulous while squashing your opponents in Fortnite. 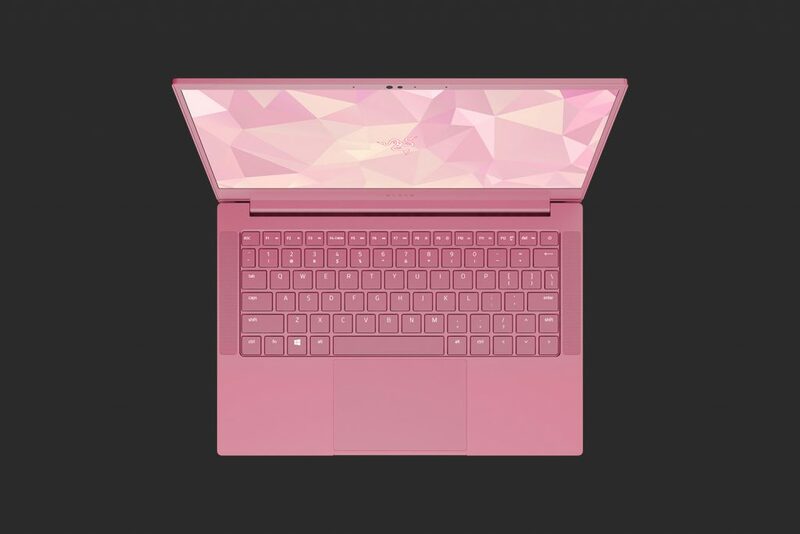 It’s too easy to say this pink laptop is just for gamer girls. If you like the color pink and want a high performing laptop this is your only option. The Razer Quartz Pink edition is available for a limited time only in U.S., China, and Canada. It’s an exclusive on the official Razorstore. Buy via the link below. Click on the second display and graphic card option to be able to pick the Quartz Pink color option.